Reigning Super Rugby champions the Highlanders are the first team to reach the 2016 Semi-finals after beating the Brumbies 9-15 in Canberra. The Highlanders progress to the Semi-finals but they will have to wait until later in the round to find out where and who they will be playing next week. 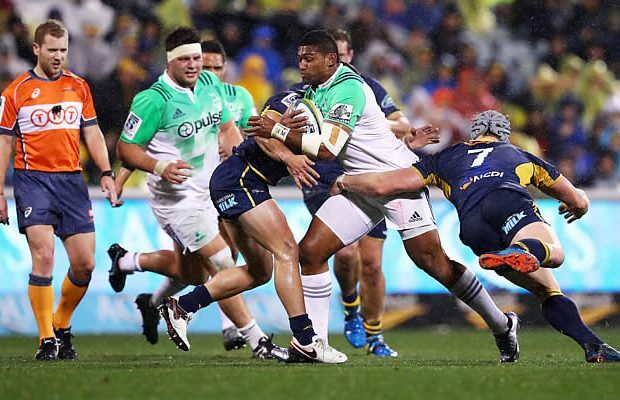 The Highlanders outscored the Brumbies by two tries to none in the match and the Brumbies loss is their fifth straight loss to a New Zealand team. The Highlanders victory is their first in Canberra for ten years as they had not won in the Australian Capital since 2006. The Brumbies loss means that no Australian team will be Super Rugby champion this year. The semi-finals are contested as the 1.) Highest Seed vs Lowest Seed and 2.) the Second Highest Seed vs Third Highest Seed. The Highlanders finished the season in 5th place with the Chiefs in 6th, Crusaders in 7th and the Sharks in 8th so the champions have to wait for the results of the Chiefs, Crusaders and Sharks matches to see where they will be seeded. The Highlanders could be the highest seeded team but for that to happen though they would need all of the conference winners to lose their matches. The Highlanders will now move to Sydney on Saturday afternoon where they will wait to find out where they will be headed for their next match. The Highlanders had to hold on and defended grimly in the final stages as the Australian conference champions went after a converted try on a wet wintry night in the national capital. A converted try would have given the Brumbies the victory but they were unable to cross the line and when it looked like they might have the TMO ruled that it was not clear and obvious that the ball had been placed over the line. 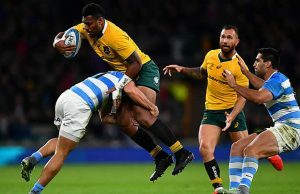 The Highlanders, who have played in South Africa, Argentina and Australia this month to keep their title bid alive, were the better side for the most part but struggled in the scrums. Winger Waisake Naholo and number eight Liam Squire scored tries in either half with the Brumbies keeping within reach but unable to get the clinching try in a desperate finish. The Brumbies thought they had scored the clinching try by replacement Lausii Taliauli five minutes from time but the video referee could not adjudicate on a clear grounding of the ball. The Highlanders’ win continued a dominant Super Rugby season for New Zealand teams over their Australian opposition, winning 22 of their 26 encounters. The Brumbies were understandably despondent as they bow out of the finals race and saying goodbye to three of their star Wallabies, skipper Stephen Moore, Matt Toomua and David Pocock, who will all be heading elsewhere next season. “It’s difficult not to comment on some of those refereeing decisions,” Brumbies coach Stephen Larkham said. 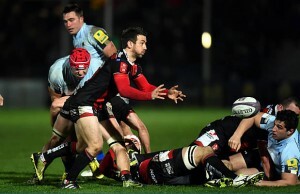 “For mine Lausii scored a try near the end and we had a dominant scrum all night and the ball has come out sideways in the final minutes and I cannot see how there is no penalty for that. The Brumbies had early possession and led 6-3 after a couple of penalties from Christian Lealiifano before the Highlanders struck three minutes before halftime. The home side lost their fourth lineout on their own throw and Otago swept into the Brumbies quarter. After a couple of rucks the Highlanders spread the ball out to the right for winger Naholo to score in the corner. Sopoaga kicked a magnificent conversion in the swirling wind for the Highlanders to lead 6-10 at halftime. Lealiifano kicked the Brumbies to within one point early in the second half but the Highlanders scored their second try after an intercept from Sopoaga. Centre Matt Faddes was tackled and from the next phase Squire scored to give the Highlanders a six-point advantage which they protected to full-time.